The latest of Incisive’s Car Show series features hardest working Poet in the game G.R.E.E.D.S teaming up with a bunch of jokers in Simply Andy and the infamous Kat for some maddness in his car as he performs everyones favourite There She Goes again from his soon to be released EP alongside The Remedies “READY”. Enjoy the jokes and of course sing along! 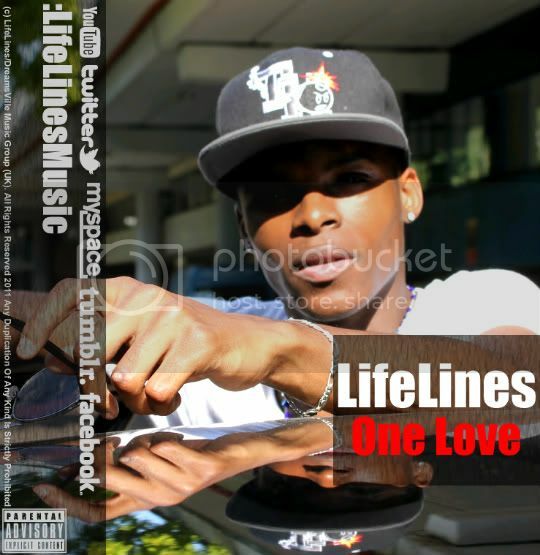 Stumbled across the beats of LifeLines through the wonderful world of twitter seeing that he had been working with Remedy favourite Shakka i was intrigued to hear more from the guy and was not disappointed. His debut the “One Love EP” is filled with quality HipHop beats that can’t not make your head nod laced with soulful sounds chords and vocals that make me like it even more. The London based rapper/songwriter/producer is inspired by the likes of 9th Wonder and J Dilla aiming to make music thats positive, motivational and enjoyable and he does a good job of it. All the tracks have quality but the standouts would be the cool “Steady” featuring Shakka and the killer “Love’s Crazy” featuring Angel and a well used sample of a much loved classic. Check out the tracks below and then click here to download the EP for free! This guy continues to grow on me. Good old solid R&B and i can’t deny how much I’m enjoying it! Production is tight and Angel’s vocals sounding superb and very much on point. Video is straight forward enough but i really love the amount of his peers that make an appearance in the video, from Cherri V to Terri Walker, and Talay Reilly to Bluey Robinson it shows how potentially strong the UK R&B scene is at this moment in time. Great to see. Look forward to hearing the EP “7 Minutes Before Time” when it drops! Kadija Kamara drops her new video this morning and its not a disappointment. They picked a beautiful day to shoot the video with Kadija taking to the streets of London armed with her guitar. Lovely visuals, a solid quality track and Kadija looking and sounding great. Ep is out now! Really can’t say too much about this. Breathtaking performance and once again Pinboard deliver on the visual. Bigness! Single available now here go buy it! How good is this lady. Cynthia Erivo is the definition of a flawless vocalist if ever there was one. Someone who has honed their craft to near on perfection, cannot get enough of her. This is a performance from her set down @ Plan B for Show Love last Sunday. Big up Aissetou for capturing this performance. I hope she doesn’t stay in the theatre and releases a product one day… it would be soooo good! For now just have to enjoy this! Quite sad watching this. Last month one of the best nights on the circuit Soulcial held its final (hmmmmmm) show @ The Macbeth in Shoreditch. It was a great day and night with a first half on the rooftop in the sunshine with a bbq and performances from XO Man with The Remedies, Ola The Poet, Ego-Ella May, Yasine and Deanna Rodger. The 2nd half was downstairs on the main stage with Awesome performances from Wilson, Dionne Reid alongside The Remedies and Soulcial Favourites Indigo Brown closed the show. It was a great way to end things if this is the final farewell. Hats off to Chan and Lee for creating a brilliant brand and hold some fantastic nights across London town. They will be missed (but i think they’ll be back ;-D). Another shout out to Mr Upshot for another superb job on visuals gwarn!!! Just over a week ago super soul singer Raff launched his new EP Soul Electric in a packed bar in Shoreditch with a full set backed by The Mighty Remedies. It was a pretty immense set with Raff’s vocals setting the place a light and the band matching him for energy and brilliance. Here is a great cover he performed on the night sounding brilliant. Enjoy! Ep is available now here. p.s. look out for the killer guitar solo from Adrian Remedy TOP BOY!!! New footage from Acer Maple. As always Sharlene Hector is sounding stunning and the track itself is just sublime. I don’t need to say too much more…. soak it up and enjoy. Big fan of this young lady. Storyteller extraordinaire bringing her Flash Fiction to stages all around London town she’s something special! This is footage from her set at Mikel Ameen’s Get Familyar night. Whenever you get the chance get down and check Femi out live or have a look at her website you won’t be disappointed enjoy.